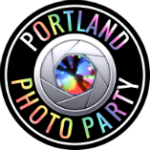 Portland Photo Party will generate loads of fun and give your employees great souvenirs to take home from this year’s holiday party. We offer creative, hilarious photo booth and green screen entertainment that will instantly break the ice for your Christmas and New Year's parties. If you are looking for unique ideas for your upcoming Xmas party our photo booth entertainment not only provides great mementos but hours of entertainment as well. Your guests will enter our spacious booth (there's room for up to 15 guests) and have a great time as they pose with our crazy props and apply cool special effects filters. They can even transform themselves into a cartoon! In a matter of seconds, everyone receives their high-quality photos, branded with your company or holiday event logo. Then they can instantly post their images to Facebook or Twitter, right from the booth's touchscreen or from our iPad social media and printing photo station. For a more creative experience at your Christmas party you can choose our green screen photo entertainment. Our graphic designers will work with you to create a set of custom photo designs corresponding to your event or party theme. When your guests step in front of the green screen to pose for the camera, they will be magically inserted into these fun scenes and be free to interact with the elements in the design. We are currently taking reservations for 2014 holiday parties in Portland, Vancouver and Salem regions.